This Sept. 24, 2017, file photo shows an aerial view of the Pentagon. Amazon's cloud boasts the highest possible security level, while many of its competitors' have not. However, other cloud providers -- like IBM, Microsoft and Oracle -- have worked with government agencies for many decades. That could help their chances of winning the decade-long JEDI contract. A Vanity Fair report said the Trump administration might try to "cancel Amazon's pending contract" with the Pentagon, but the department maintains that there has been no political pressure from the White House on who should win the multi-billion dollar deal. 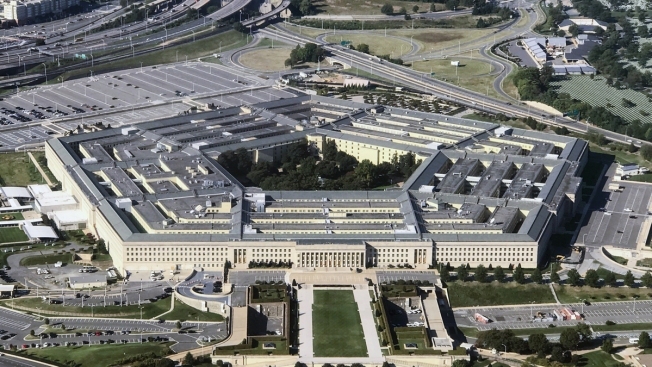 The Pentagon is slated to award the contract in September.